Which website is the most visited website in November 2012, the holiday season? Google is ! 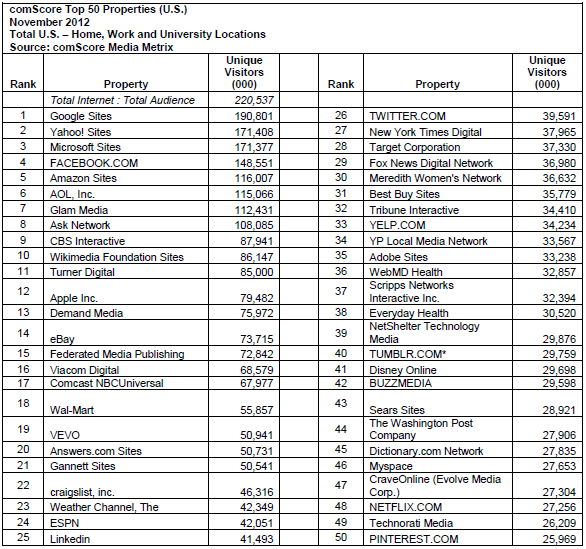 Google Sites ranked as the #1 web property in last month with 191 million unique visitors, followed by Yahoo! Sites with 171 million, Microsoft Sites with 171 million and Facebook.com with 149 million, said comScore in its latest report.